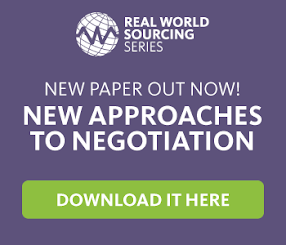 Strategic Sourcing: Procurement in Scotland – What’s next? To quote Mel C, things will never be the same again. We’re still part of the UK, but with the guarantee of further powers promised, and this morning confirmed by David Cameron, Scotland’s powers, rights and way of working are going to change. Scottish Procurement, as part of the Scottish Government, will have a lot more on its plate come next March. As Peter Parker (sort of) said; with further devolved powers comes greater purchasing responsibility. There will undoubtedly be new Commodities to be dealt in, new Buyers skills to be developed, new markets to be explored and new opportunities for the profession of Procurement to be developed and expanded in Scotland. Exciting times? I think so! Of course, we should not just look to this glorious spot of hill and heather, international markets reacted strongly to news that Scotland would remain as part of the UK. An initial rally around the pound from early opening Asian markets overnight resulted in the £ hitting a two-year high against the euro and a two-week high against the US dollar. Shares in RBS and Lloyds Banking Group also rose sharply upon markets in the UK opening. The defence contractor Babcock, whose shares dropped 4.4% upon ‘Yes’ taking a lead last week, is up 24 points at midday. Of course, we’re not there yet. There is a lot of work ahead for Lord Smith of Kelvin. Even devolution of powers is a complex procedure undertaken rarely. But we can be proud that we have two governments who negotiated a vote, agreed as gentlemen to accept the outcome, and are now moving forward to the benefit of both sides. What Procurement Professional does not yearn for such a situation in their working life? 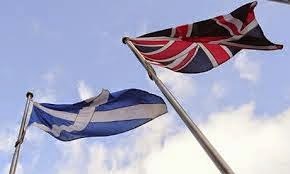 The exact powers and processes will still need to be agreed around the table by both sides, but rest assured, procurement in Scotland is on the up. This industry, along with many others, is going to go from strength to strength. This negotiation will be led by groups with opposing views, ideologies, and agendas; it will be an interesting negotiation process. We should be proud of how this has been conducted, regardless of the outcome. There are other groups within Europe who would be delighted to have such a cooperative and peaceful process from their government to determine Independence. It’s been an insightful and exciting time to be around. But now, I’m off for a nap.